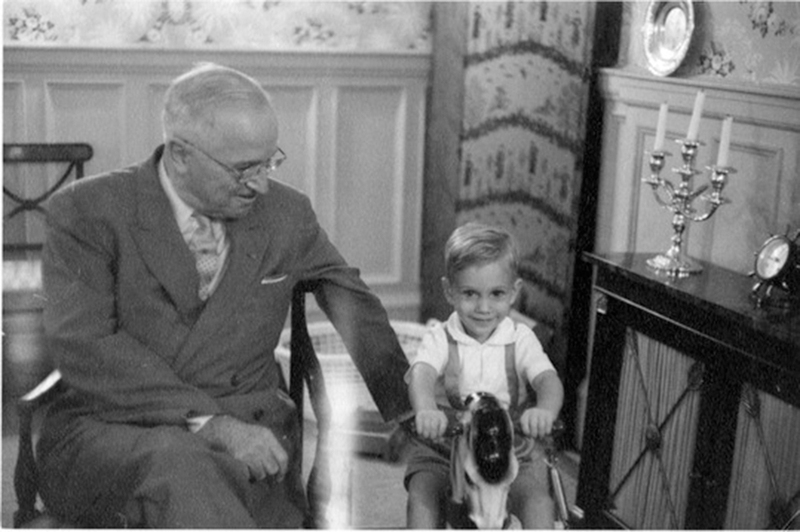 Clifton Truman Daniel was surprised the first time someone told him he looked like his grandfather, President Harry Truman. A few years after seeing the film, Daniel moved to Wilmington where a lot of disparate strands of his life started to come together for him. From 1983 until 1998, Daniel worked at the Star-News by day and haunted Thalian Hall by night. “I basically wasted a lot of time in New York waiting tables and going to acting classes,” Daniel recalls. “Everything sort of started at the Star-News — I did not know how to type!” His father, E. Clifton Daniel Jr., former managing editor of The New York Times, arranged for him to start an internship here. “The first time I took on an assignment, I knew sort of instinctively about how to write a news story. How to shape it, what to include. I think it was because I had the managing editor of The New York Times correcting my homework for years.” At the same time, Dino De Laurentiis was building a movie studio on 23rd Street, and the movie business was growing. Along with it, live theater blossomed: “I went from play to play. That was what I did in the evenings. 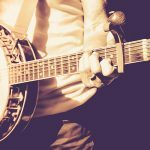 I’d be the lead in one and in the back holding a broom in the next one.” What these two passions share is a talent for storytelling and engaging with an audience. Daniel has a palpable warmth that builds connection almost instantly, whether he is talking to a room full of people or is on a private phone call. Maybe it is not such a surprise that he tells a good story; clearly, it is a family trait. Not only was his father an acclaimed newspaper man, but his mother, Margaret Truman Daniel, published several books about her famous parents, and the history of the White House. Daniel himself published a memoir about his grandfather, Growing Up With My Grandfather: Memories of Harry S. Truman. Though he is more interested in talking about the books of letters between his grandparents, Dear Harry, Love Bess: Bess Truman’s Letters to Harry Truman, 1919–1944, Daniel points out that the Truman Library has more than 1,300 letters that Bess wrote to Harry. “About half of those were collected into a book in the ’80s,” he explains. But there are far fewer of his letters to her. Apparently the story goes that Harry came home one day and found her burning his letters to her. When asked what she was doing, she calmly replied that she had already read them. “But think of history!” he pleaded. “Oh, I have,” she responded. Perhaps one of Daniel’s best-known stage performances during his tenure in Wilmington was as Salieri in Opera House Theatre Company’s production of Peter Shaffer’s Amadeus. Tony Rivenbark, executive director of Thalian Hall Center for the Performing Arts, played Mozart. “We still get together whenever we can,” Rivenbark notes. “He and his wife, Polly, and I had a chance to catch up with one another last year when I was in Chicago . . . That’s when we discussed the possibility of bringing Give ’Em Hell, Harry! to Thalian Hall.” The themes of the show resonate strongly with Rivenbark. Preparing to play him onstage has been an interesting exercise in scholarship for Daniel. As he is already actively involved with the Truman Library in Independence, Missouri, where he serves as honorary chairman of the board of trustees, the script of Give ’Em Hell, Harry! has challenged him in unexpected ways. “I find that I can’t learn the script without dissecting it,” Daniel explains. “It was written 40 years ago. Some of the scholarship has changed. I find that when I read a passage I have five or six big books next to me in the living room with me, just to look a little deeper into what he’s saying.” The biographies are fascinating, but they don’t necessarily agree about the details. “It’s probably slowing me down because I have to sit there and dissect everything.” But, he notes, each performer has a different focal point for a character. For him it is about his grandfather’s sense of humor and love of people. “I give speeches about my grandfather — and I wind up sort of imitating him because there are stories to tell,” Daniel explains. “But the hardest part for me is that Missouri accent of his. My accent certainly isn’t. I have couple of hours of tapes from the Truman Library of him speaking.” Daniel points out that his inflection and tone sounded very different in private life than in his public addresses. What he remembers is Grandpa grousing at him and taking away his toy gun when he was shooting pop cans off the coffee table. It’s a little different than the president of the United States on a news reel or television explaining why he is nationalizing the railroads or dropping the atomic bomb on Hiroshima. Give ’Em Hell, Harry! will run from Oct. 12 to 22 at the Ruth and Bucky Stein Studio Theatre at Thalian Hall. For more information and show times: (910) 632-2285 or thalianhall.org. Gwenyfar Rohler spends her days managing her family’s bookstore on Front Street.